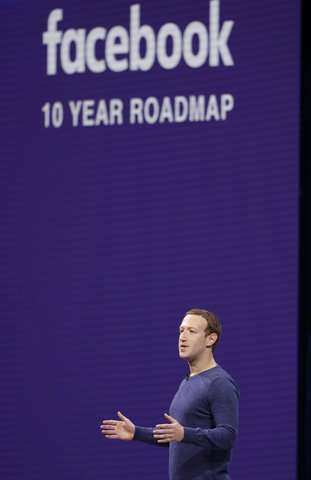 With a smile that suggested the hard part of an "intense year" may be behind him, Facebook CEO Mark Zuckerberg addressed developers Tuesday and pledged the company will build its way out of its worst-ever privacy debacle. It was a clear and deliberate turning point for a company that's been hunkered down since mid-March. 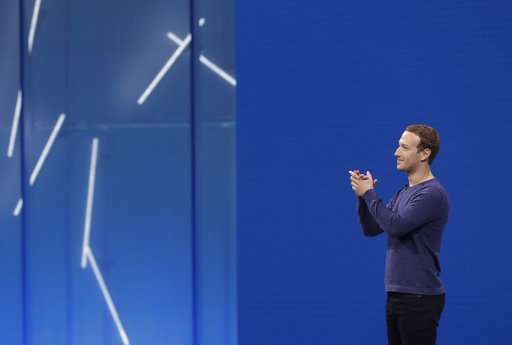 For first time in several weeks, Zuckerberg went before a public audience and didn't apologize for the Cambridge Analytica scandal, in which a political data-mining firm accessed data from as many as 87 million Facebook accounts for the purpose of influencing elections. Or for a deluge of fake news and Russian election interference. 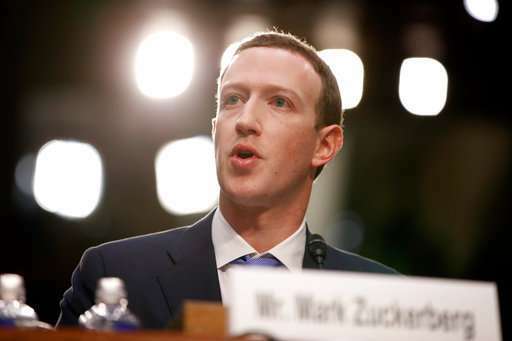 Instead, Zuckerberg sought to project a "we're all in this together" mood that was markedly different from his demeanor during 10 hours of congressional testimony just a few weeks ago. 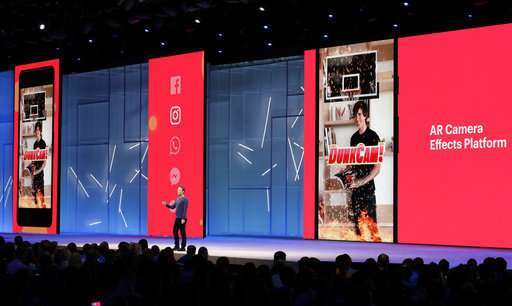 His presentation also marked a major change for the company, which seems relieved to be largely done with the damage control that has preoccupied it for the past six weeks. 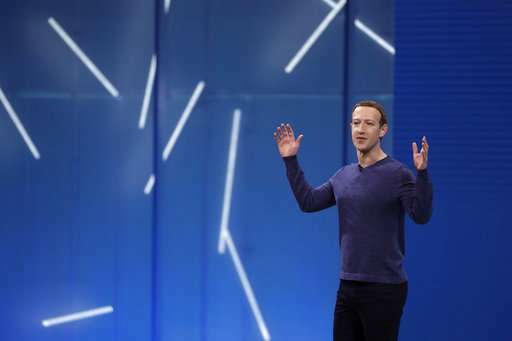 On Tuesday, speaking in San Jose, California, at the F8 gathering of software developers, Zuckerberg said to cheers that the company is re-opening app reviews, the process that gets new and updated apps on its services, which Facebook had shut down in late March as a result of the privacy scandal. 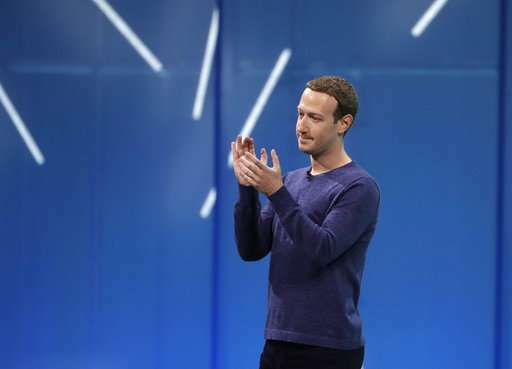 Zuckerberg then vowed to "keep building," and reiterated that Facebook is investing a lot in security and in strengthening its systems so they can't be exploited to meddle with elections, including the U.S. midterms later this year. The company had previously announced almost all of those measures. "The hardest decision I made wasn't to invest in safety and security," Zuckerberg said. "The hard part was figuring out how to move forward on everything else we need to do too." 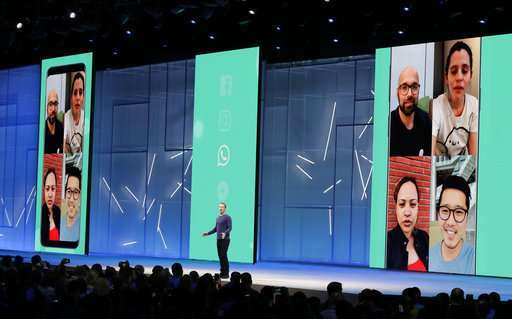 Facebook executives trotted out fun features, most notably a new dating service aimed at building "meaningful, long-term relationships," in a swipe at sites like Tinder. After Facebook announced its entry into the online dating game, shares of Tinder owner Match Group Inc. plummeted 22 percent. 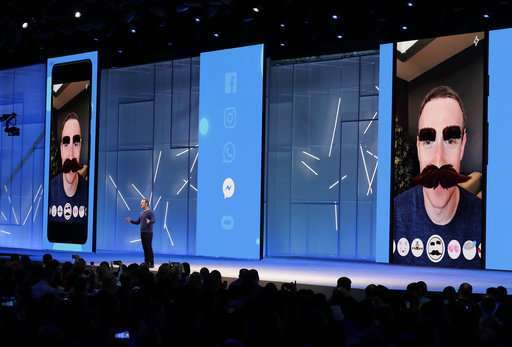 Poking fun at himself, Zuckerberg unveiled a "Watch Party" feature that gives users the ability to watch video together—such as, he suggested, "your friend testifying before Congress." Up flashed video of Zuckerberg's own turn on Capitol Hill. "Let's not do that again soon," he said. 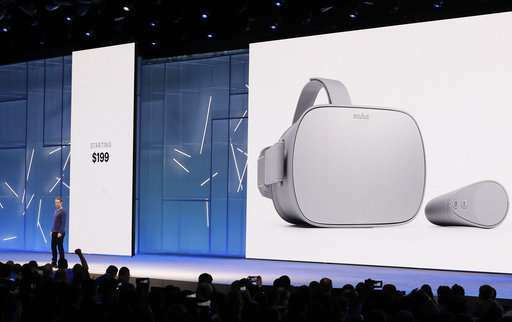 Zuckerberg got big cheers when he announced that the thousands of people in attendance would get Facebook's latest virtual reality headset—the portable, $199 Oculus Go—for free. "Thank you!" he yelled. 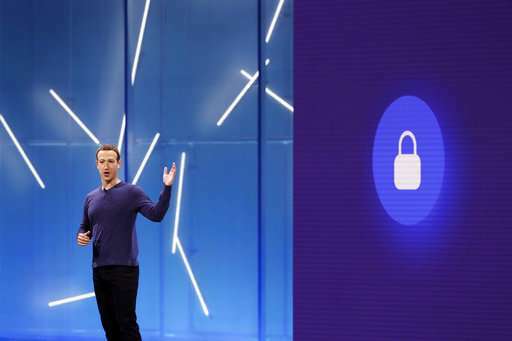 Despite reports that Koum left over concerns about how the company handles private data, Zuckerberg described him warmly as "a tireless advocate for privacy and encryption." 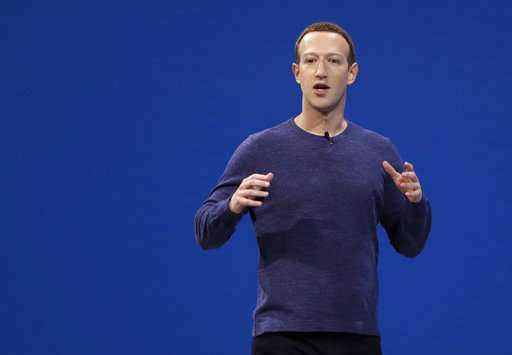 Some analysts said Zuckerberg's performance bolsters his chances of navigating the company out of its privacy scandal and overcoming concerns that it can't handle its fake-news and election problems. 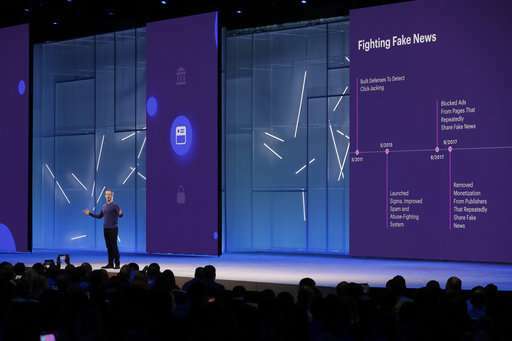 By leading off with Facebook's security and privacy responsibilities, then continuing to extend Facebook's ambitions to connect people in new ways, Zuckerberg successfully "walked the tightrope," said Geoff Blaber, vice president of research and market analysis firm CCS Insight. 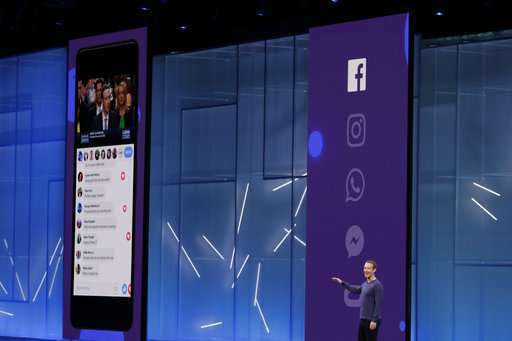 "F8 felt like the first time Facebook has been on the front foot since the Cambridge Analytica scandal broke," Blaber said. 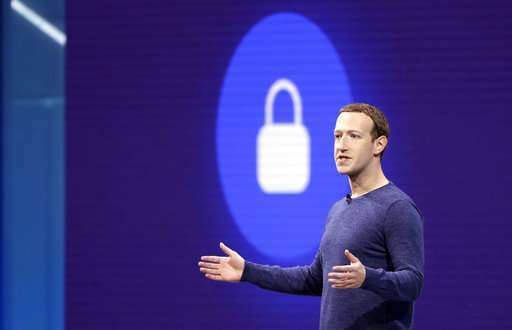 Dan Goldstein, president of digital marketing agency Page 1 Solutions, said the company "is getting the message" about privacy. 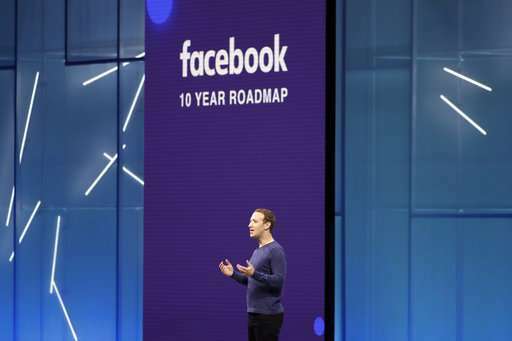 "Time will tell, but this may help Facebook overcome the shadow of the Cambridge Analytica scandal," he said.